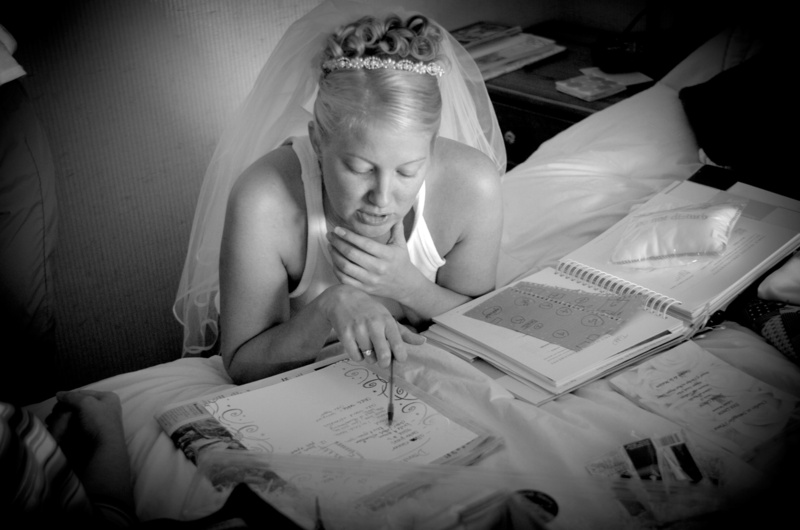 So much goes into planning a wedding. From finding the perfect wedding dress to booking the right venue, there’s so much to figure out. As a NJ wedding videography company, we understand how much goes into the process. Today, though, we’re not talking about all the various objects and places you need to consider, and there are a lot. No, today is all about time. Like any event planning, timing is everything, and not just the time of year, but the specific day of the week and time of day as well. So much factors into these decisions, like the schedules of guests, the weather, rush hour, and the list goes on. And think about it, we haven’t even mentioned costs, which can be drastically affected by the season, day, and time of day you choose for your wedding. So, let’s go over the things you need to give the most thought to when choosing a date and time, what you can expect depending on your choice, and, hopefully, you’ll then have a better idea for what’s most appropriate for your wedding celebration. Cherylynn and Yaya were together for 7 years before making their union official on this incredible day at the breathtaking Candlewood Inn in Connecticut. The sun was shining and the serene atmosphere made for the perfect setting for the Live Picture Studios videography team, there capturing all the special moments. It was an emotional celebration and the couple’s personal cards to one another were beautiful. Cherylynn wrote about “growing up but never growing apart” through their 7 years together, and Yaya recalled the moment he first saw his future bride and how he knew he had to do anything to make her happy. We at Live Picture Studios were truly proud to be a part of such a joyous and heartfelt celebration. Congratulations, Cherylynn and Yaya! Katie and Kyle, who started out as college sweethearts, celebrated their amazing wedding at the picturesque Flanders Valley Banquet Hall in New Jersey with family and friends. The Live Picture Studios cinematography crew was there helping immortalize the day by creating this cinematic wedding video. It was obvious how perfect everyone believes the newlyweds are for one another, from the best man boasting about Katie’s ability to “hang with the guys,” to the maid of honor’s heartfelt speech about how special Kyle is. The priest, though, may have summed up the emotion of the day best when he said: “The vows that these two are about to exchange with one another are words, but what are behind those words, is something different.” The entire Live Picture Studios team would like to congratulate Katie and Kyle and wish the beautiful couple a wonderful future together! It’s only natural. Planning a wedding is one of the most exciting times of any couple’s lives, so it’s no surprise so many jump right into it. But things can pile up quick. As a NJ wedding videography company, we’ve seen a lot of planning processes, so trust us when we say that most people simply underestimate all that’s involved. Far too often, the realization that they bit off a whole lot more than they could chew comes too late. When that happens, some elements will inevitably get neglected. When that happens, the stress kicks in. That’s where creating a list of priorities, early on in the planning process, comes into play. Some elements can wait while others must get taken care of early on. If you take the time to figure out which is which, you can hold off some of that stress and ensure the important things don’t get neglected. So, let’s go over some of the aspects of wedding planning that typically can wait, and which you better start dealing with right off the bat. When Katherine first met Robert, she told her best friend and future maid of honor that she was going to “marry that boy,” and she was right. The lovely couple celebrated their day at the gorgeous Seasons in New Jersey. Family and friends were there helping support the newlyweds, as was the Live Picture Studios videography crew, on hand creating this high-quality cinematic wedding video. The best man, Robert’s brother, may have put it best when he said, “If you can have someone that is able to make a life a little bit better, it makes all the difference in the world.” We couldn’t agree more. Congratulations, Katherine and Robert, and we wish you a lifetime of happiness! When Tiffany’s cousin and maid of honor first saw a picture of Kevin, she didn’t think he was the one. But he proved her wrong when she saw how he’d jump through hoops to make Tiffany happy. The beautiful couple celebrated their marriage at the splendid Il Villaggio in New Jersey, which was the perfect setting for this high-quality cinematic wedding video, produced by Live Picture Studios. Tiffany promised to love her husband as much as her beloved Harry Potter books, and Kevin vowed to never stop fighting for his wife’s love. From the lively celebration to the slow-motion Mother-Son and Father-Daughter dances, the Live Picture Studios videography team was able to truly capture the spirit of the occasion. Congratulations, Tiffany and Kevin, we wish you nothing but the best! As a wedding videography company in NJ, we know that planning a wedding isn’t easy. That’s why it’s so common for husbands and brides-to-be to try to take a few shortcuts in the hopes of lightening up the load and easing the stress a bit. The problem is, many of the quick fixes that people use, thinking they’re being resourceful or clever, often lead to even more stress, and a whole new set of problems. You need to be careful. Wedding planning takes time and money, period. With many aspects, there are simply no easy ways around them. So, let’s take a look at some of the more common wedding planning myths that have left many couples in a daze, trying to figure out where it all went wrong as their special day passes them by. Shareen had feelings for Ryan since they first met in high school. When they reconnected years later on Facebook, it seemed they were destined to be together. They reignited their old spark and fell in love, leading to this amazing celebration at the elegant Grand Marquis in New Jersey. The Live Picture Studios videography crew was there capturing all the incredible moments that made this day unforgettable, such as the touching anecdote about Ryan giving Shareen’s nephew 3 letters for his future bride, one for her and the other two for her late father and brother, respectively, to ask for their permission to marry her, or the best man’s beautiful speech in which he assured Shareen that Ryan’s friends don’t feel like they’re losing a close friend and brother, but are gaining a great friend and a sister in Shareen. What a beautiful sentiment. Congratulations to the lovely couple from Live Picture Studios! When Ryan first met Daniela about 5 years ago, he told his father she was the most beautiful girt he had ever met in his life. Two years into their relationship, Ryan’s dad finally understood what Ryan meant by that when he realized Daniela is as beautiful inside as she is on the outside. The lovely couple said their ‘I dos’ at the stunning Bonnet Island Estate in Manahawkin, NJ, which provided the perfect atmosphere for the Live Picture Studios videography team, on hand creating this cinematic wedding video. In this extended creative edit, you can really get a feel for how perfect the newlyweds are for one another. The scenery was breathtaking and the inspired cinematography brought out all the special little moments of the couple’s gorgeous rustic wedding. Watch for when Daniela’s emotions nearly overwhelm her as soon as she reads the first word of her husband-to-be’s personal card, or for her father’s clever golf analogy that led him to the realization that his daughter had met someone who truly deserves her. The entire Live Picture Studios crew wishes nothing but the best for Daniela and Ryan. Congratulations, you two! Wallace’s brother, who was also his best man, didn’t think this day would ever come, being that Wallace was so into clubbing and partying, but he saw all that changed when Wallace met Melissa. The happy couple celebrated their amazing wedding day at the breathtaking Marina del Rey in New York with family and friends. The Live Picture Studios videography team was there as well, creating this cinematic wedding film in high quality fashion, and we can attest to how truly perfect these two are for one another. The priest may have put it best when he called Melissa and Wallace’s special bond “a thing of wonder.” There is truly no better way to describe the lovely couple’s connection. Congratulations, Melissa and Wallace, from Live Picture Studios!